Should we be concerned about Privacy with low-level Chinese smartphone firmwares? Since I’ve started eelo.io, at the end of 2017, I had many discussions about the privacy of Chinese smartphone firmwares. Many people told me: if it’s technically possible to put some anti-privacy features into the firmware, they do it. 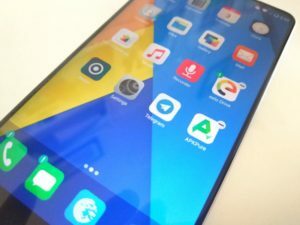 What would be the benefit of running eelo on such smartphones if their proprietary firmware drivers leak some personal data to corporates or to the Chinese government? Starting from this week, I’m going to regularly unveil a specific eelo feature we’re working one. 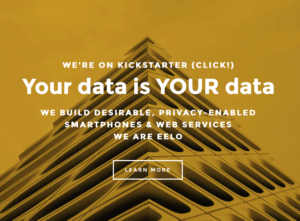 As you know, eelo’s purpose is to deliver a full-featured operating system that is offering way better respect of user’s data privacy. In this respect we’re specifically removing any piece of Android that is sending personal data to Google. As Lawrence Lessig explained on January, 1st 2000, Code is Law! Want to support eelo more? Become my Patron! Yes, I need to eat and pay my bills. And until eelo becomes a success, with a working business model, the only way for me to finance my living doing some consulting. I’ve reduced this activity at the max but this currently takes me one day per week, or a little more. eelo is gaining some momentum, it’s super-promising. Its potential is HUGE. And it’s the most exciting professionnal project I’ve started in my life. I wish I could dedicate 1000% of my days into this project. 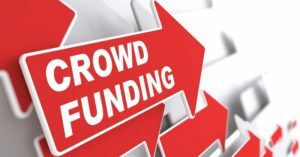 So I’m looking for solutions that would preserve the Kickstarter funds to technical developments. Someone recently told me to have a look at the Patreon website. It’s a way for artists, writers, and more generally doers, to get some recurring financial support from people who believe in their project and want it to succeed. 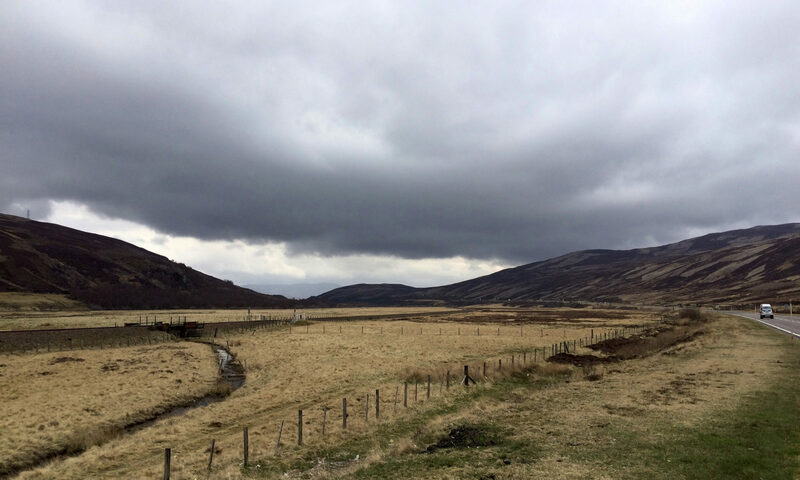 So here we go… I now have a Patreon page. I hope it can be successful. It’s been 10 days since our awesome Kickstarter campaign is over! When I started eelo.io, 2 months ago, it catched some attention and curiosity from my close circle of friends and professionnal connexions, but not much more. Since the 90s, you have been a world changer with great projects like Paypal, SpaceX, Tesla, Hyperloop and OpenAI. And I’ve noticed you have released Tesla patents into the public domain, and have open-sourced the Hyperloop and OpenAI projects. Today, the digital giants are massively abusing individual and corporate data planet-wide, for the single purpose of fueling their businesses. Worse, this is installing a global surveillance system controlled by a small group of people. In the long run, this situation even threatens democracy. eelo.io – Holiday Season, latest updates! I wanted to share a few news and thoughts to you all eelo.io supporters and backers. This past week has been fascinating. I’ve realized that we are many people to be interested in the eelo.io vision and proposal. 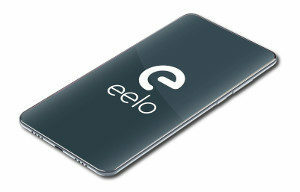 Leaving Apple and Google: my eelo odyssey. Bootstrap! 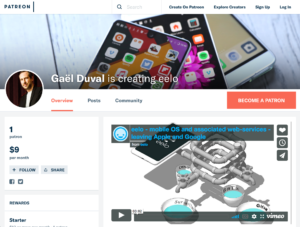 Today, I’m bootstraping the eelo project with a Kickstarter crowdfunding campaign. During the past three weeks, I’ve released three articles to describe the project, what has already been done, and what is the vision. 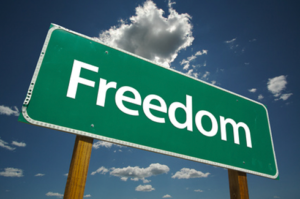 We want to build an exciting alternative to Google, Apple and to all proprietary services that are catcing our personal data and transform us into voluntary slaves.